SMILES add value to our FACE.. 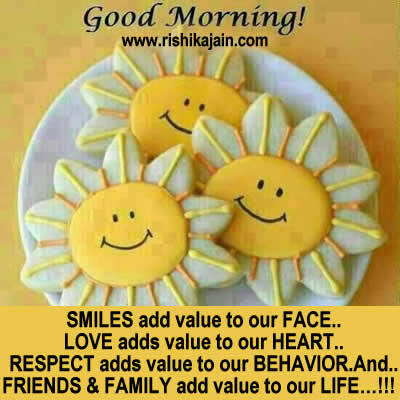 RESPECT adds value to our BEHAVIOR.And..
FRIENDS & FAMILY add value to our LIFE…!!! Previous articleGood morning messages,Success is a tasty dish.